Principal Cast : Richard Dix, Fay Wray, Victor Kilian, Franklin Pangborn, Charles Arnt, Granville Bates, William B Davidson, Arthur Loft, Edgar Dearing, James Donian, Bill Burrud, Zeffie Tilbury, Harold Goodwin, Charles Brinley, Zeni Vatori, Wade Boteler, Helen Brown. Synopsis: While hospitalised young Billy meets his silent movie idol Tim Bart, but then the talkies came, destroying Bart’s career. Now Bart must convince his young friend he is still a star. Brisk, fluffy Hollywood comedy delivers charm and cheese in equal measure: It Happened In Hollywood is the exact kind of film fans of cinema should adore, what with its pleasant depiction of pre-and-post sound cinema set forming the backdrop of this genteel romantic comedy. 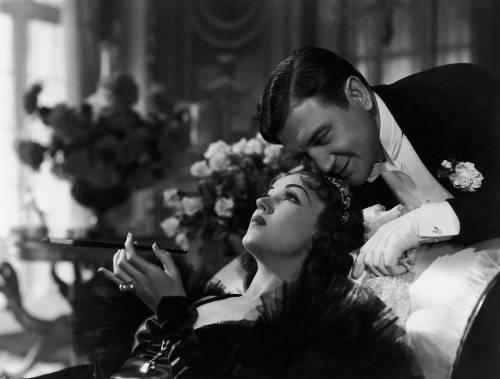 Richard Dix’ leading role of a silent film star struggling to find his place in a newfangled “talkie” industry is utterly charming, while his on-screen leading lady – Fay Wray – is a delight herself. 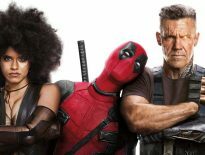 Simplistic and wholesome, It Happened In Hollywood’s proximity to its premise is indicative of many a former star finding it difficult to transition to the nascent technological advances, remaining upbeat and square-jawed throughout. In 1929 Hollywood, silent screen star Tim Bart (Dix – Academy Award Nomination for Best Actor in 1931’s Cimmaron) makes his fame by portraying a heroic cowboy alongside recurring leading lady (and potential real-life love) Gloria Gay (Fay Wray). The advent of talkies, however, soon makes Bart obsolete, his career waning while Gloria’s continues to rise. Bart is stoically resistant to portraying screen villains – he starts to film a role in which he plays a violence gangster, much to his disgust – as he feels it would stain the reputation he has among his young fans, notably a sick boy named Billy (Bill Burrud), who sees the actor as a real-life hero. While Bart’s career falls by the wayside, and Gloria continues to try and draw him back into the industry, Billy arrives in Hollywood to meet his hero and give the erstwhile screen star a new lease on life. It Happened In Hollywood is utterly charming. 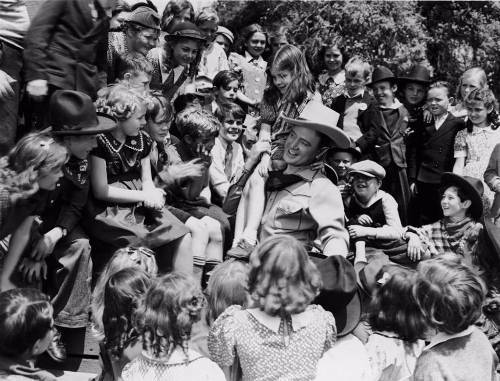 It’s a film devoid of deep thematic exploration and is steadfast in its contentment to remain a souffle of industry head-nods and in-jokes, in particularly culminating in a “star-studded” party of Hollywood doubles pretending to be actual screen stars (including then-popular identities including Charlie Chaplin, Harold Lloyd and Bing Crosby, among many others) and the film’s gleeful rendition of golden-age film-making provides the most interest here. 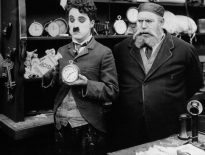 The story, written by the quartet of Ethel Hill, Harvey Fergusson, Samuel Fuller and Myles Connolly, and sits itself centrally in the days when silent film was sliding rapidly into history as sound films became a massive commercial success. Dix’ Tim Bart is the ubiquitous screen actor unable to adequately transition to the format, mainly because he struggled to learn dialogue (silent stars never really had to learn lines, per se) and the vast majority of early sound films were studio bound – couldn’t film out on the prairie as a cowboy any more! – so the character’s fall from grace echoed so many other industry peers of the day. The film balances its dramatic and comedic heft squarely on the performance of Dix, who capably personifies the gregarious and effervescent Tim Bart with ease. Although his life is falling down around him, and he’s losing the love of his life (his career), he never ever becomes depressed, remaining strongly positive in spite of personal catastrophe. Dix’s square-jawed demeanour and radiant screen charisma endear him perfectly to the part, confident in life working itself out and refusing to shift his principles and morals despite the lure of further success. The story makes him a less-than complex hero, it must be said, but in simplicity can be found a masculine beauty and strength – Tim Bart is as masculine as they come, but rough edges are softened considerably by a sense of worth and idealism personifying America of the day. 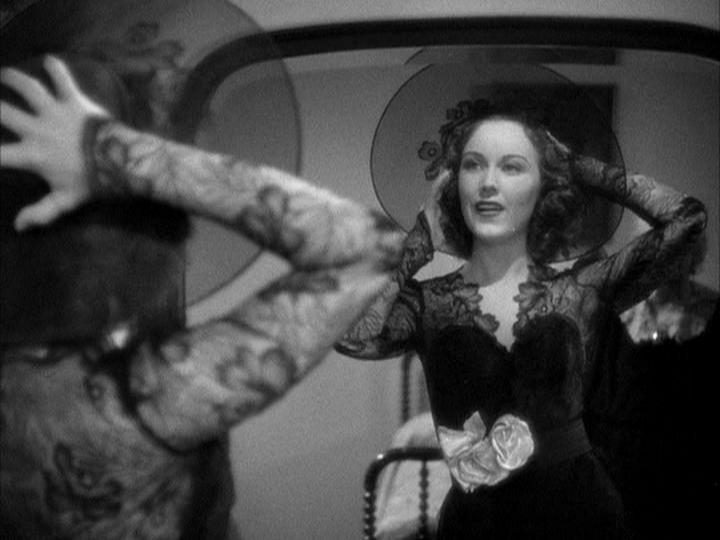 Dix’s co-star, Fay Wray, is better known to audiences as the Scream Queen from 1933’s King Kong, and although her part is comparably smaller, she radiates an easy-going familiarity and approachable nature that jigsaws perfectly with Dix. Their chemistry together is actually really very sweet, although their relationship never seems consummated beyond simply appearing on the screen together – it’s obvious to us, however, that Gloria Gay has held a flame for Tim Bart for a long time. 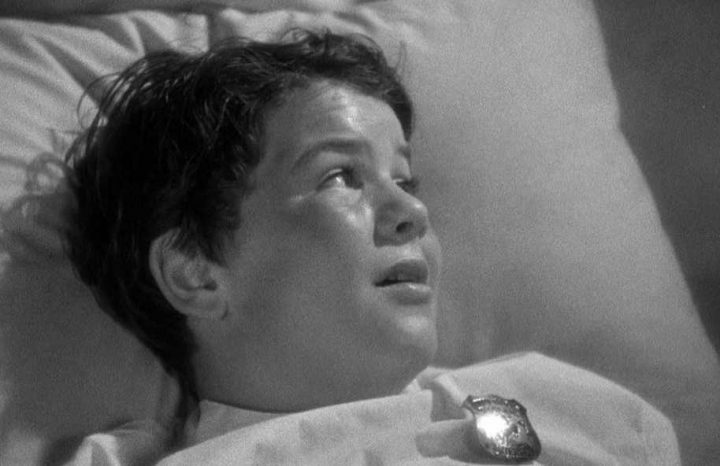 The third key character here is young Billy, played by an earnest Bill Burrud, a young lad who thirsts to be just like his hero despite having a sickly life to that point. Burrud’s gee-willikers attitude and enthusiastic outreach to Dix’ Bart comes across as a bit cheesy but considering the rest of the film is built upon a variety of storytelling cliches it’s hard to really convict the young actor of overplaying it. The supporting cast around this trio include a wonderful Franklin Pangborn as Bart’s agent and confidante, Granville Bates as the head of fictional Perfect Pictures studio Sam Bennett, Victor Kilian as a fellow screen star colleague of Bart’s, and Edgar Dearing as the menacing stand-over man Joe Stevens, the latter forming the film’s antagonistic role with a sense of width and menace. The film is a blast for cinephiles, showcasing then-modern cinematic technology (including cameras and studio sets, dollies and expansive background crew) and the aforementioned climactic party sequence boasts a swag of actors pretending to be notable industry luminaries – faces I recognise moreso now that I’ve spent some time watching classic films of the period. Alongside fauxChaplin and fauxCrosby are avatars or John Barrymore, WC Fields, Mae West and Marlene Dietrich, as well as James Cagney, Fred Astaire, Ginger Rogers and Clark Gable, among others. While it plays somewhat different today, I imagine the real-life stars of the day must have had a blast seeing their doubles being essayed up on screen. It Happened In Hollywood also boasts an exquisite technical proficiency behind the camera. Directed with light-fingered sweetness by Harry Lachman, the film’s soft-focused behind-the-curtain glimpse at Hollywood is photographed with an equal touch of vaseline-smeared loving adoration, as picturesque a love-letter to a bygone era as there’s ever been. 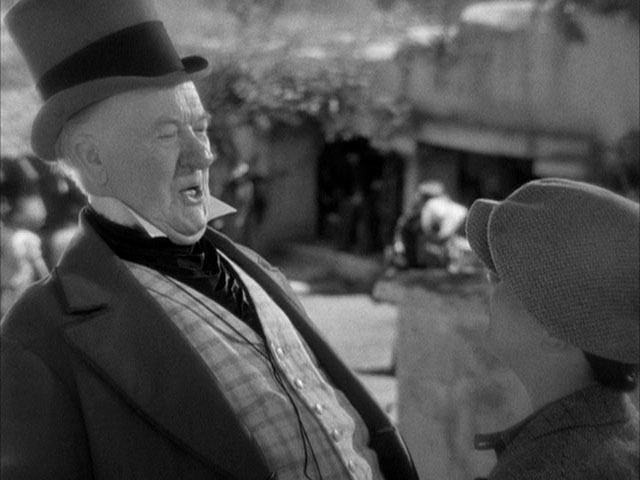 Lensed by long-time Frank Capra cinematographer Joseph Walker (Mr Smith Goes To Washington, It’s A Wonderful Life), the film looks stunning in crisp black and white, the ubiquitous sunshine of California ushering away the darkness of Bart’s career. 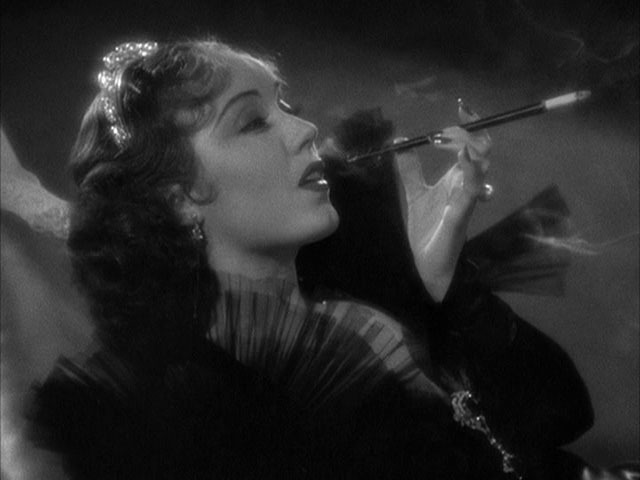 Some of the shots within the film are superbly done, almost unnoticed until you remember the movie was made in the mid-30’s and the technical precision must have been archaic for the day: It Happened In Hollywood is as American as apple pie, and zesty production values personify this superficiality and artifice with well honed perfection. About the only sour note is Morris Stoloff’s clunky musical score, which occasionally feels too overwrought for my tastes compared to the on-screen visuals. 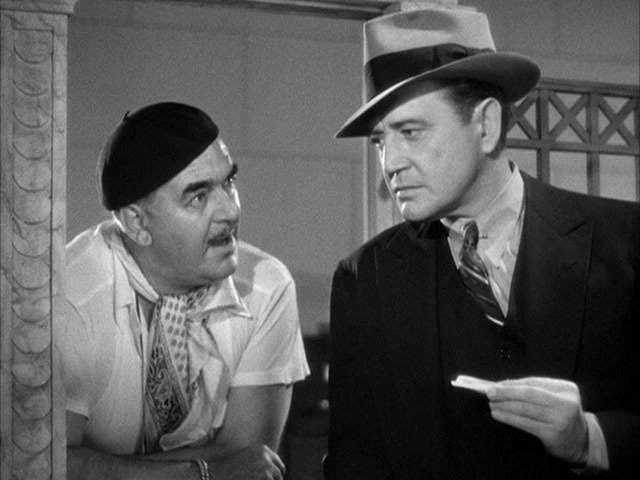 It Happened In Hollywood is hardly an Oscar-winning dramatic opus; the characters and story are stock-standard charming, and it’s a rare film where the backdrop setting is probably more interesting than the central characters’ plight. Fans of cinema will delight in the movie, cliches and all, simply for its intriguing and entertaining film-about-cinema premise, although both Dix and Wray are eminently watchable regardless. Light, frothy, easy-listening cinema that moves quickly, doesn’t overstay its welcome (the film is barely over an hour long!) and does what it needs to with panache and visual perspicuity. An excellent middle-tier outing that will please almost everyone.